If you are currently looking for a top realtor in the Commerce Michigan area, you’ve come to the right place. Russ Ravary is the realtor you need to help whether your buying, selling or need to get both done in a short amount of time. Russ works hard to make your next move easier! 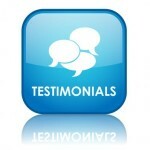 Don’t just take my word for it, take a look at what his previous clients have to say about their experience working with one of Oakland County’s real estate experts…. Russ was an awesome Realtor. We were first time home buyers so we were a little unsure of what to do, or what to look for when buying a home. Matt, a friend of mine had bought a house through Russ before and recommended Russ so we thought we would give him a try. We wanted to be near family, friends, and work so it limited the number of cities we wanted to live in. We wanted a good city with good schools and easy highway access, too. Most of all we wanted an updated home that we would not have to spend thousands of dollars to get it the way we wanted. Russ was patient and showed us every house we wanted to see which is great because some realtors are so pushy. He never pushed us to buy. We had the freedom to choose the house we wanted. Russ helped us put together a solid offer so we got the newer home we wanted. We are loving our home and have made it our own. Russ is an awesome Realtor and I would call him and recommend him to any of my friends and co-workers. Russ was an awesome realtor. My parents referred him to me. He had helped them buy and sell a house several years ago. Russ sold my house over listing price in 8 days! He took the time to tell me how to get the house ready for sale and it really worked. Then he helped me find a house that was perfect for me! I would recommend him highly to anybody! 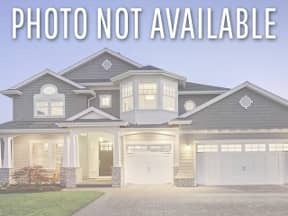 Russ was an amazing Realtor to work with, I had a tight timeline and many demands in a house that I was looking for and Russ was able to meet and exceed my expectations in an extremely fast timeline. Once Russ found the home I was looking for, he took over and worked directly with the seller and my mortgage team to make sure everything was achieved successfully and ahead of schedule. I was able to close earlier than expected thanks to Russ’s ability to drive the process along. He has a very pleasant personality and not the typical pushy realtors that I have used in the past. He will be open and honest about a house you look at and has vast knowledge of the market for price points. I want to thank Russ for partnering in the home buying process with me as he truly was a partner and asset to me rather than just a realtor. Looking forward to working with him on my next home purchase! 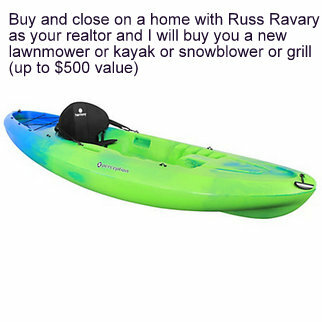 I highly recommend Russ to anyone out there looking to sell or purchase a home. Class act!! There you have it, kind words from satisfied clients. They trusted Russ to accomplish what they needed from him and he exceeded most of their expectations. That says something! You might be a first time buyer or and experienced investor, no matter your situation Russ can help you find the home you’ve been searching for! Not only will you be working with a professional realtor that has the knowledge and expereince to handle all situations, you’ll be working with a realtor that makes you feel comfortable in your decisions and wont push you to make one your not ready for. Russ has been in the business long enough to know that is never best for the clients, and has developed lifelong friendships over the years. That doesn’t just happen. But when wokring with a realtor that puts you first, is completely honest with his advice and opinion, you can begin to trust and feel like you have someone in your back corner. You can continue your search knowing you’ve made the right decision, not only with your new house, but with your realtor as well! So give Russ a call today, talk to him, ask him questions, get set up on an automatic home search! Russ is here to help make your next move easier.